Learning more about Islamic customs is just good business for Tomohiro Sakuma. 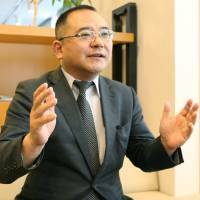 “It would be ridiculous to miss out on a chance to do business” with Muslim countries because of a lack of familiarity with Islam, the 50-year-old head of the Halal Japan Business Association said. Sakuma, who set up the association in 2012, said that while he believes Japan generally has a favorable image in Muslim countries, Japanese have a tendency to associate the term “Islam” with terrorism. Sakuma admits that he only learned about the term “halal,” or items and actions permissible under Islamic law, six years ago. With 1.6 billion Muslims around the world, Muslim markets offer great potential for Japan, but however good Japan’s food or other service products may be, without knowledge of halal, there will be no customers, Sakuma said. Sakuma decided to build his own support organization after learning that neither the Foreign Ministry nor the Agriculture, Forestry and Fisheries Ministry were prepared to take any steps in support of one particular religion. As chairman of the association, Sakuma, who hails from Gifu Prefecture, currently takes a three-day trip abroad almost each month to study local halal markets. He also organizes support seminars to help companies conduct market research and facilitate business in Muslim nations while offering know-how to obtain halal certification from international authorities. As proof that many companies are already showing a high level of interest in halal businesses, he was invited to hold 120 seminars across Japan in the year through March 2015. At one of his seminars, former Malaysian Prime Minister Mahathir Mohamad told participants he wanted to try halal Japanese beef.